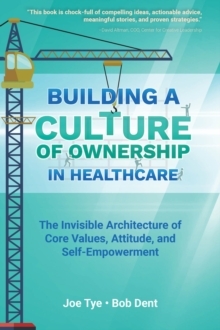 In the stormy seas of today's world economy, organizations need all hands on deck In the stormy seas of today's world economy, organizations need people to own their work, not just rent a spot on the organization chart. 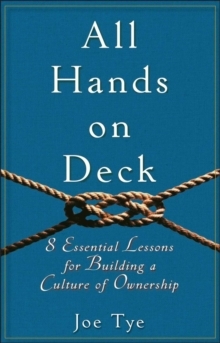 All Hands on Deck is a fun-to-read story that is both a business strategy book about creating competitive advantage through corporate culture, and a personal development book that will inspire readers to be more committed and engaged with their work and their organizations. Drawing upon the wisdom of some of the greatest and most beloved business leaders of the 20th century, this essential guide: * Creates a virtual roadmap for building a culture of ownership where so workers are inspired to think and act like partners in the enterprise, and not just hired hands * Shares practical and proven strategies for earning employee buy-in and commitment to the values, vision, and purpose of the organization * Features the real-world wisdom of some of the most successful and beloved business leaders of the 20th century, including Walt Disney, Ray Kroc, Mary Kay Ash, Bill Hewlett, and Dave Packard A stirring resource for today's business environment, All Hands on Deck shares the tools you need to create an organization that competes and succeeds in today's turbulent world, and the inspiration that your people need to put those tools to work.